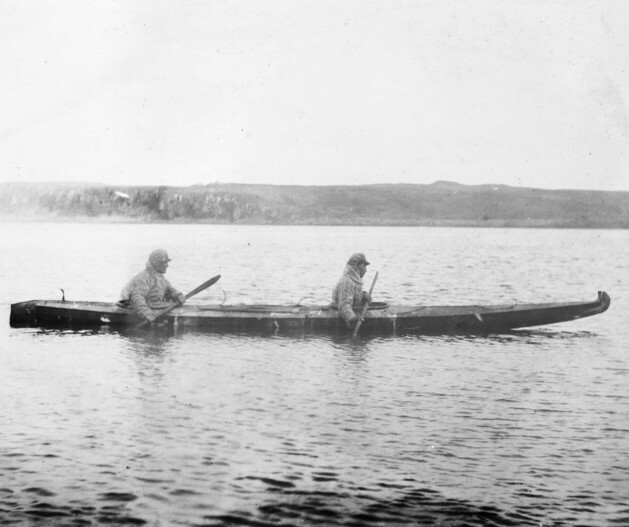 Kayakers wearing gut parkas and visors. St. Paul Island, c1904. Courtesy of the Archives, University of Alaska Fairbanks, Charles Hamlin Collection, 728-027.